Andromeda exudes a unique confidence in its handling of fine musical detail, expanding the limits your listening horizon. Produced in small batches, hand built by expert craftspeople. Each earphone is created individually, inspected closely and paired tightly. Andromeda offers an excellent balance between an engaging and coherent musical experience, with a solid technical foundation. I have tried to plumb the depths of the Andromeda for its many weaknesses and can uncover no glaring faults. 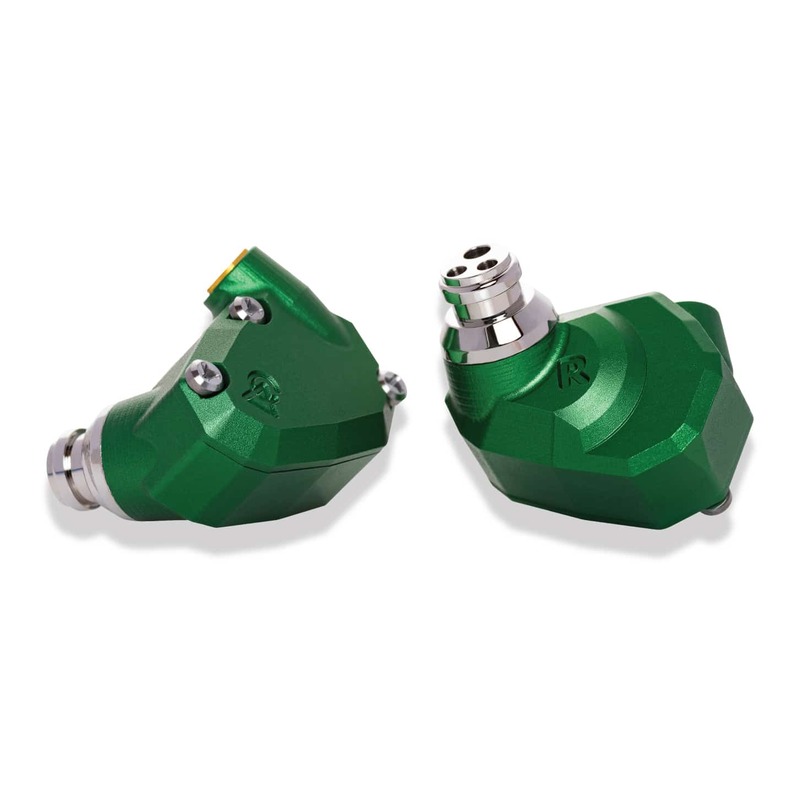 It truly is a work of wonder in this saturated market of multi-driver IEMs and TOTL Daps. The Andromeda has an incredibly impressive soundstage, rivaling the absolute top of the industry. Width extends to just beyond my shoulders, height goes up to just beyond the tips of my hair and depth reaches down to just below the back of my jaw. This makes for a highly immersive listening experience, throwing the user into a world of three dimensional sound and music. (..) The most important characteristics of Andromeda sound quality is being able to successfully bridge the gap between warm smooth and revealing detailed tonalities, resulting in a perfection of a smooth organic transparent sound with an impressive clarity and retrieval of details. I have owned all of the Campfire Audio IEM’s except for the Lyra and can say at the beginning of my review that the Andromeda is my favorite. To my ears, it delivers a sense of realism that I have not heard in my many previous higher end devices. It is tonally accurate and has very precise vocal and instrumental timbre. I do not notice spikes or dips at any point in the audio frequency spectrum. I find that the presentation is not “in my face’ but rather I get the impression that I am seated a couple rows back in a live performance. 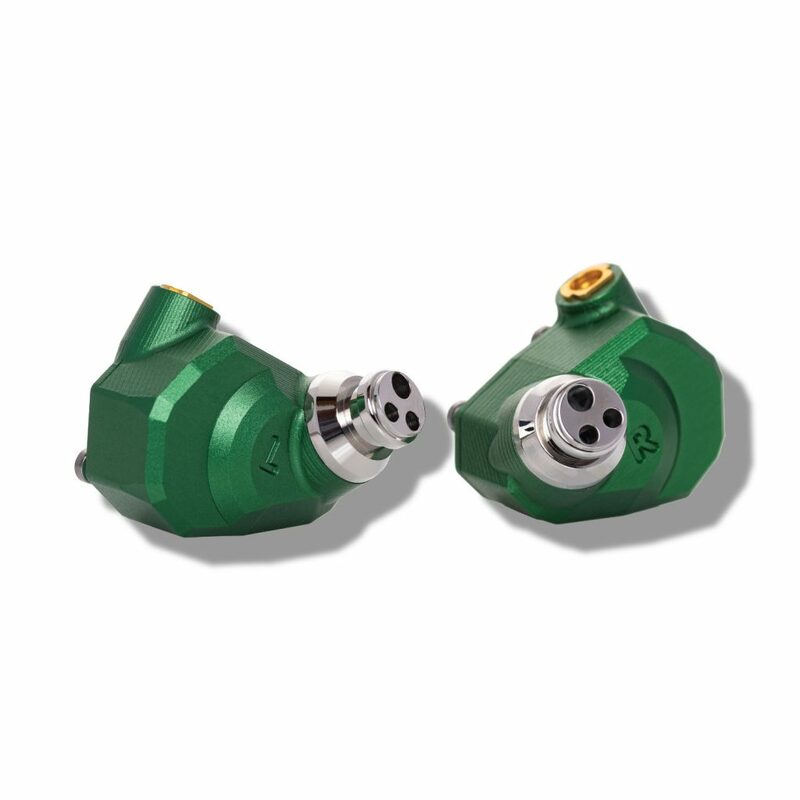 Build quality is absolutely stunning with the CNC-machined aluminum housing more closely resembling a piece of fine jewelry than an audio component. The fit is excellent for me, very comfortable and once I found the tips that provided the best seal, they stay in place regardless of my activity. I am particularly impressed with the treble. While quite detailed and pristine, it is never sibilant unless the sibilance is present in the recording. While the Andromeda performs in a stellar manner with all genre’s of music I have tried, they are intolerant of shortcomings in the recorded material. They reveal exactly what is presented by the source chain and will also display differences in players or amps used upstream. My only reason for deducting one star is that the memory wire used in the really fine supplied cable makes it rather irksome to get the phones in place while also trying to secure the memory wire over-ear as it tends to rotate in the mmcx socket during placement. I do wish the cable would be offered with the option of a non-memory wire cable. ALO deserves much credit for bringing such a high-performance device to the crowded high end IEM market! I am impressed beyond words. I have no idea how an IEM could be better. I have owned many IEM’s, and none come close to these. The guys at Campfire Audiohave truly outdone themselves. The Andromeda is aptly named. Not just for the sheer size of the earpiece itself, but for the immensity of its sound signature and performance. What I find most appealing is the smooth delivery in the mid-range, with a cool crescendo into crisp and tingly highs. The bass is good, with a little bit of “punch”. The sound that emanates into my ear canal is akin to dipping one’s eardrums into a pleasant creek on a warm spring day. Another added bonus is the soundstage. I have never heard earbuds that sound so expansive. One of the drawbacks of IEMs over headphones is that they feel more “closed in”, but these things make it sound like left/right separation is farther apart. I don’t think the soundstage is a make or break thing, but wow… the Andromeda makes it feel like I’m in the MIDDLE of everything, in a whole room. The Andromeda are amazing IEMs. Probably the best I’ve ever heard. Nah. They ARE the best I’ve heard. Ahhhhhhhhhhnnnndroooooomeeedaaaaa! Clarity, separation, details and listening experience just @$#?in awesome, amazing, headbangin experience! For context, I went from listening to Shure’s SE535 to the Andromedas.and it’s no contest. It’s not even the same “sport”. Listening to the Andromedas for the first time was like having an aural epiphany. Once they’re in you just don’t want to take them off. What hits you first is the depth of the sound, the bass sends vibes through your neck and it really feels like a live concert experience. If you’re having difficulty justifying the price, just think about how often you listen to music and amortizing the cost over a handful of years. For the superior experience it’s a no brainer and absolutely worth it. My only complaint would be the difficulty I’ve had getting these IEM to stay in my ears. My earholes are really small, so it takes some tweaking to really get these to stay. All in all, a fantastic upgrade and worth every penny! The clarity and depth and transparency are across the board, simply wondrous. I listen to many of my favorite tracks and feel in tune with the music. When I take a break from them and come back they still manage to astonish. Soundstage is precise and coherent. It feels alive. It is not cavernous nor is it intimate. It feels just right. Bass is tight, impactful and precise. A nice thunk without too much boom if that makes sense. The Mids are liquid and smooth and present. The Treble is accurate and just perfectly bright for my taste. I’m extremely sensitive to too much treble and these provide just the right amount of air and precision. They are sensitive enough to run off of any device and sound great with nearly every single source or file type you throw at it. My daily rig is through the Iphone 6s with Tidal directly from the headphone jack and I’m very happy. When I plug in a dac and an amp, they open up and deepen, but it’s not night and day. They’re more enjoyable, yes, but they sound amazing without any special gadgets, and that is a sign of amazing engineering. They work well with all genres. I listen to rock, jazz, classical, classical india, rap, electronic, pop, vocal, folk… you name it, I’ll listen. The Andromeda are extremely comfortable and a beautiful shade of green. Find the right tips of course. I find the basic silicone work well for me. The leather case is not small, nor too large, just the right size and with a soft shearling interior to cradle the earphones so they don’t rattle around. 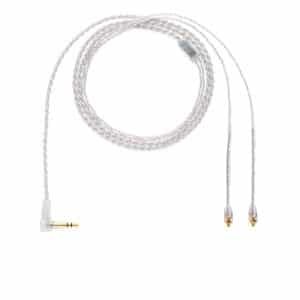 The cable is high quality and soft to the touch with minimal microphonics. The memory wire is easy to mold and relatively easy to fit and refit. If you are on the fence I can assure you that these are worth it. They do not hide anything of the music nor are they so revealing that you need to feed them the absolute best of the best high-res files. They scale wonderfully and you don’t need much power at all to make them shine. All this does not mean they are average by any stretch of the imagnation. They are truly extraordinary. These are wonderful headphones if you want clarity, soundstage and fantastic sound. On placing my order from the UK it was delivered in 4 days. You can’t ask more than that. Opening the Andromeda was an experience too. It comes in a lovely box and is presented in a great leather case. All the accessories are great too. All the tips you could want to get you started. Oh and the cable, wow it’s class just pure class. The litz cable is a brilliant accompaniment to the Andromeda. Together they make sweet music. I also have a HD800 and this to me is the Iem version. I love my Andromeda my only regret is that I didn’t get it sooner. Best sounding IEMs I’ve listened to!! Approach the expansive soundstage, clean and magical sound of my favorite open back over ear headphones, Focal Elear with Silver Dragon cables. Will need to upgrade cables as the behind the ear memory cover is misshaped. It all starts with the packaging. A really useful and stunning one, if I may add. When you open the small and attractive box, you are surprised by a gorgeous leather case. 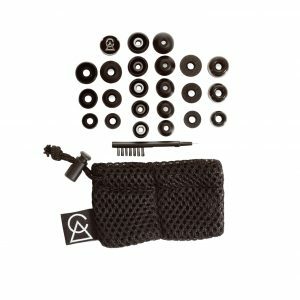 Right under it, you can find a generous offering in the way of 4 pairs of Spinfits, 3 pairs of foam tips and 4 pairs of silicon tips, being the first ones a great option. However, the best part of the show is yet to come: once you start listening to the Andromeda you start to comprehend what the terms “flagship” or “top of the line” really mean: the sound is stunningly balanced, clear and open. It is resolving and detailed, and it is offered inside a huge soundstage. The bass is deep, tight and fast. The mids are really natural, with a stunning body and great detail. The treble is indeed clean, sparkly and with great extension, but without a hint of harshness or sibilance. It all really comes to this: the Andromeda is an example of what a TOTL earphone should be: beautifully made, comfortable to wear during great periods of time and it sounds incredible with a great variety of music genres. It’s been a little over a month since I first purchased the Campfire Andromeda. I decided to give these earbuds a try after lots of research and had it narrowed down to either the Shure SE846 and these. The last pair of earbuds i had invested in was the Etymotic ER4SR, though the initial impression blew me away, over time the pleasure of music was lost in the analytical quality that they offered. I figured the sound of the Etys was not for me. I, by no means am an audiophile nor do I have a refined ear for music analytics. I like to enjoy a diverse genre of music and like the feeling of being one with the music. The Andromedas packaging was a delight and unique. 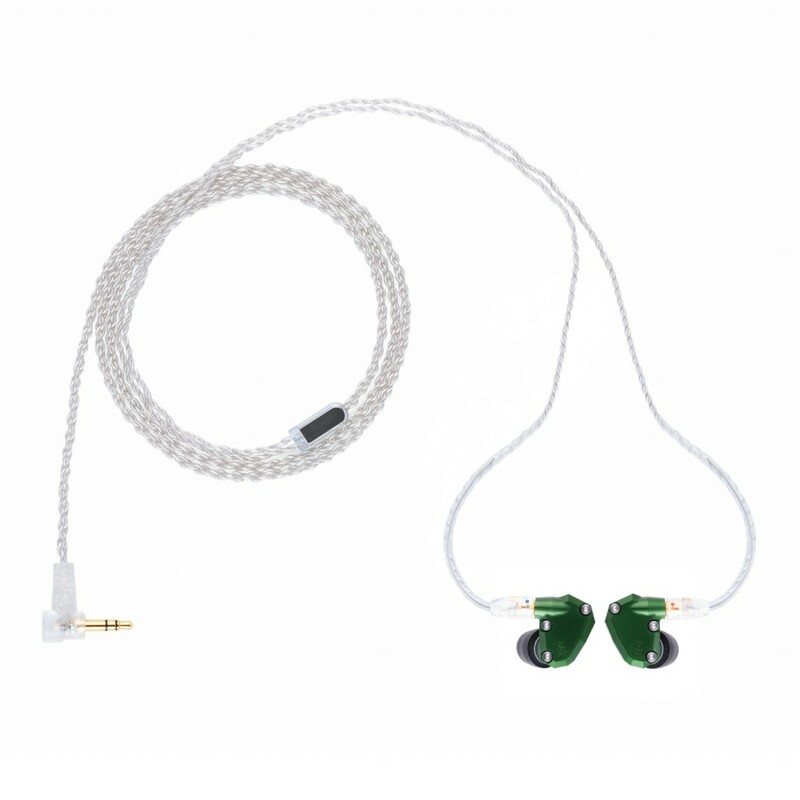 The earbuds themselves have the emerald green color which I love. I have waited a month to write this review and I wanted to give these a chance to settle in and make sure I truly give it a fair review. In one word, these ear buds are fantastic! The sound just is and no note is higher than the other or over shadowed. The airiness of the earbuds truly make you feel like you are one with the music. The bass is not over powering and the treble is just right. I pair these with Astell & Kerns Kann and without any EQ’s these sound perfect. Though DSD’s especially shine with these. Give Arnesen’s MAGNIFICAT “Fecit potentiam” a go and its pure bliss! Words fail to describe how awesome the sound is. Ola Gjeilos “Tundra” sends shiver down your spine or simple you do not want to stop listening. The sound just is! Pure and Present, Thats how I would describe the Andromedas. Mp3s really fail to make an impression with these earbuds. These earbuds really make a flaw in sound recording very apparent. I highly recommend these! The sound is not clinical. The fit is fine and long hours of use is without any fatigue. 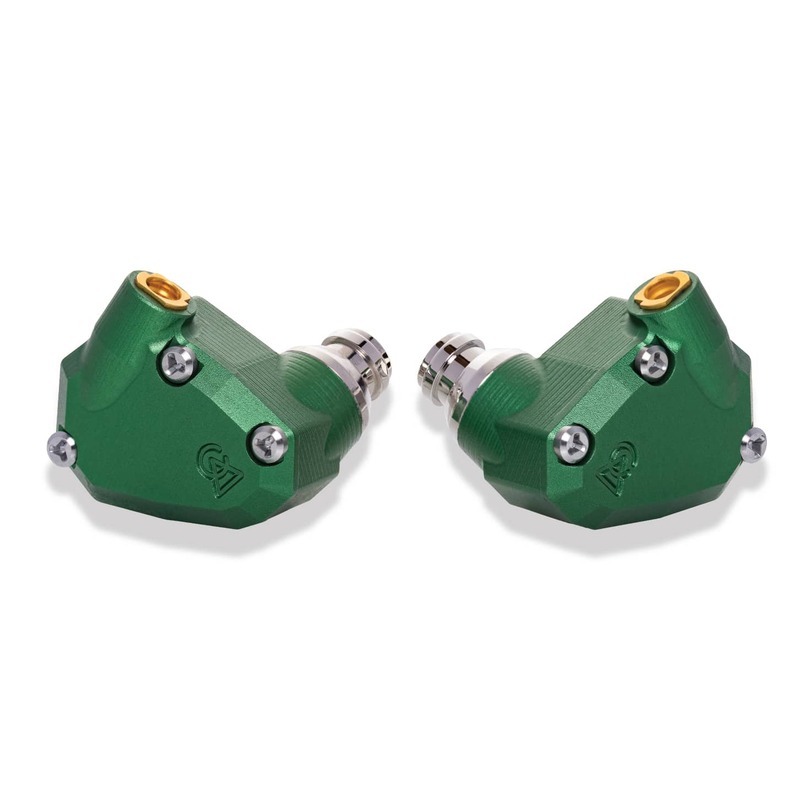 I have not tried the Shure SE846 but I have found these to be a perfect pair with my musical taste. Give them a try, you will like em! i bought these because everywhere i read , revievers said these are “musical” and here they are. yes they are muscal and ery very fun to listen across all genres. great clarity, awesome and fun treble and really adaquate bass, some reviewers said bass were lacking and they were not “physical” but no they are great any more than this would be too dominant for my taste. also great customer service and very fast shipping ( i live in turkey and they are at my door in less then 5 days. i had some special questions and staff responded them all, and was wery helpful. thanks guys! The sound of Andromeda can be a benchmark, the reference point in the highest segment of the IEM. Thank you from Russia, СA! An important signature of Andromeda, apart from its many other wonderful characteristics, is that it separates different (ranges of) voices really well, partly thanks to the immense sound stage. That means, if you mostly listen to solo instrumental / vocal works, chamber music, polyphonic vocal / instrumental works, or even small-scale orchestral works, you will love this earbud. In particular, if you are a fan of Bach, Palestrina, Lassus, Schutz, and the like, I highly suggest a buy. You won’t be disappointed even if you mostly listen to Schubert, Mozart, Chopin, Ravel, and modern composers. However, if you are a late Romantic symphony person, the Andromeda experience might turn out to be a complicated one. On one hand, the sound of each section of instrument is beautiful and well articulated. On the other hand, it may feel like that all these information is not in unity. For example, at the climax of a Bruckner or Mahler symphony, though you are immersed in a crystal-clear ocean of sounds like you have never heard before (even from live concert), these sounds are so separated that you might struggle to bring them together and the anticipated emotional / spiritual gratification may never come. Couldn’t believe my ears once i found the perfect ear piece.selling my hd800 and se846 tomorrow.there is nothing like the andromeda in this price range. No wonder they compare it to 64 audio top of the range.just wished there is more choices of colours like asian markets.Thank you campfire audio,you made my day for years to come. I’m listening to my Andromeda IEM’s as I write this review so the sound is fresh in my mind! First off, I’ve been an audiophile for MANY years now (20 years or more at this point in time), and I just wanted to tell you all about my listening wants and needs before I actually start my review. I’m a “Taper” who has been Recording audio at concerts/shows since 1997, when I taped/recorded my 2nd Phish show at Star Lake Amphitheatre in Burgettstown, PA. I’ve came a long way since back then Recording gear wise, and I’ve been running high quality microphones, preamps and recorders since 1999, when I bought my first “real” and HQ pair of mics and preamps/ADC. So for me and my listening needs, I want the absolute BEST reproduction of what I recorded live. If anyone would like to check out my HUNDREDS of live Recordings FWIW, here’s a couple of links to then! Over the last 15+ years, I’ve had all kinds of different and relatively cheaper earphones (too many to name), and like I said, I want the Absolute BEST resolution and clarity of detail possible, but without being too analytical and dry sounding, and with some “fun” to it as well. I was sick of “upgrading” my IEM’s a hundred or two dollars at a time, for a barely noticeable difference, so I wanted to throw down big money on an “endgame” pair of HQ IEM’s that would last me for MANY years to come build quality wise, and something with amazing sound that would thrill me everytime I listened to them so I wouldn’t want or need to upgrade ANYTIME SOON. Well, fast forward to the Andromedas, and I couldn’t be ANY happier with them than I am right now, and I swear that they keep getting better and better sounding the more I listen to them. Not sure if that’s actually just in my head, or if burning them in has occurred, but these things are EVERYTHING I had hoped for and more. The sound quality is phenomenal IMO, and my Recordings have NEVER sounded so awesome and clear. The high-end is exactly perfect for me too, and is never sibilant or harsh, unless the Recording itself is like that! When I run a smokin Recording through them, it’s like I’m literally transported in a time machine back to the show and I’m encompassed in a 3D sound that I’ve never heard before with ANY of my previous IEM’s or headphones. It’s pretty unreal actually. I’ve never experienced something that engrossing before with my Recordings, so very cool IMO! The mids are crystal clear and upfront in the overall mix and vocals sound killer with them! And in regards to the bass/low-end, these probably aren’t meant for a basshead, but the bass is perfect for me! It can definitely go deep when called upon, but has a nice punchiness to it that decays quickly, but without ever having too much bass and overpowering and covering up the rest of the music and frequency spectrum! Like I said, perfect overall soundwise for my listening needs, and these transport me back in time when I’m listening to my live recordings! I have been listening to 24bit FLACs Mainly with them since that’s what I’ve been Recording in quality wise since 2006, and these things really shine with those high resolution sources like that! I just started listening to some mp3’s with them too, and they still sound amazing! When I’m listening to regular albums and not my love Recordings, these sound even crazier too. For some of the psychedelic music I listen to that has a lot of panning and stereo effects, I’m transported into another dimension Completely! 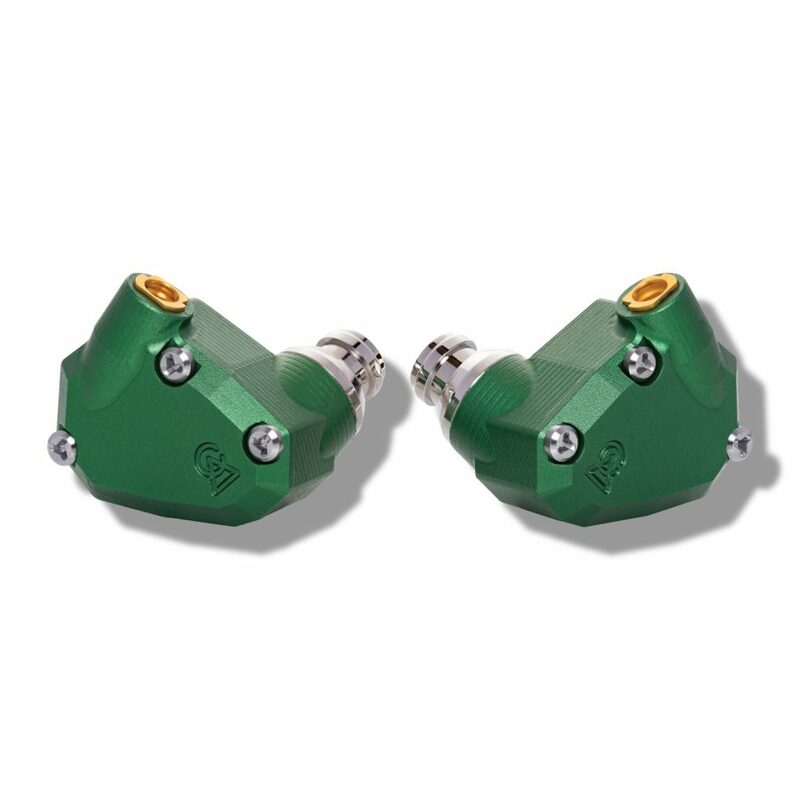 Like everyone else has said, these have mind-blowing soundstage and imaging too, especially for IEM’s. The music overall sounds HUGE and expansive and just sound incredible overall, with no spikes or dips throughout the entire frequency spectrum too! And my only gripe (if you can even call it that), is that I’m not a huge fan of the memory wire and MMCX Cable overall. But I have a Estron Linum G2 SuperBax and Bax MMCX Cable, and I STRICTLY use the Linum G2 SuperBax MMCX Cable with these now. With that MMCX Cable and these super HQ earphones, the quality of the sound is even better and smoother compared to the stock Silver coated copper litz cable. If the cable used heat shrink around the ears I’d like that cable MUCH better, but that’s absolutely NO reason not to buy these. They sound amazing even with the stock MMCX Cable from ALO, and once you start using the cable more often it’ll take great shape of your ears and I’m sure it’ll be easier to put them on and remove them down the road. I do love the cinch slider on them though! Overall a great MMCX Cable still, and if I didn’t have my Linum G2 SuperBax and Bax MMCX Cables, I’d definitely be using the stock one without a need to upgrade it anytime soon! 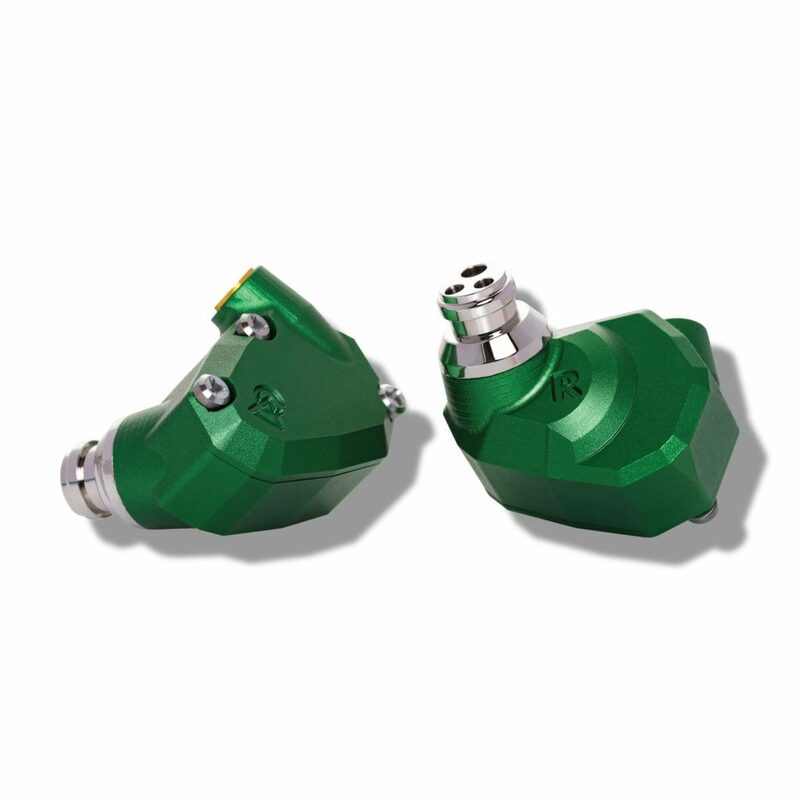 So if you have been doing a lot of research for some “endgame” IEM’s, and want something with the Absolute BEST resolution and sound overall, with superb quality of construction and components, then look no further than these Andromeda IEM’s! Seriously awesome IEM’s all the way around, and IMO are definitely worth it for the price! My ONLY problem now, is that I LOVE the Andromedas so much, that I want another pair of their earphones, and once I get these paid off, I’ll definitely be getting a pair their Dorado’s next to round out my IEM collection! After that I’ll probably be selling my cheaper IEM’s like my Nuforce Primo 8 & Two pairs of Westone UM Pro 30 IEM’s! So be careful, once you listen to these, you’ll most likely be hooked on the CA sound and want to try their other IEM’s as well! Exceptional IEM. I have many some at this price some a little below. This is by far the best. Tonal, soundstage, instrument separation, just superb. I’ve owned many pairs of high end IEM’s but the Andromeda’s are without doubt the best by a long way. I find them very comfortable to wear and the sound is simply stunning – I feel like I am at a live performance of the music. I’ve owned many flagship full sized headphones from many manufacturers and have sold all my desktop equipment after hearing the Andromedas. The only headphone or earphone I haven’t needed to EQ! Tight and textued bass, detailed and soulfull vocals and the most refined highs I’ve ever heard. Build quality is absolutely stellar and the cable is amazing. It’s now my daily driver! I went from IM02 straight to andromeda and I must say I have never touched my im02 since. This is just astonishing. Wow, just wow. Amazing, astounding, astonishing Andromeda ! I did now know that IEMs could sound better than most full size headphones. Imaging is perfect, crystalline quality and detail. I’m hearing more in my music than I previously knew was there (that’s always the way whenever I do a step-up in quality and resolution). Easy to drive from my portable DAP. Quite simply the best IEMs I have ever heard. 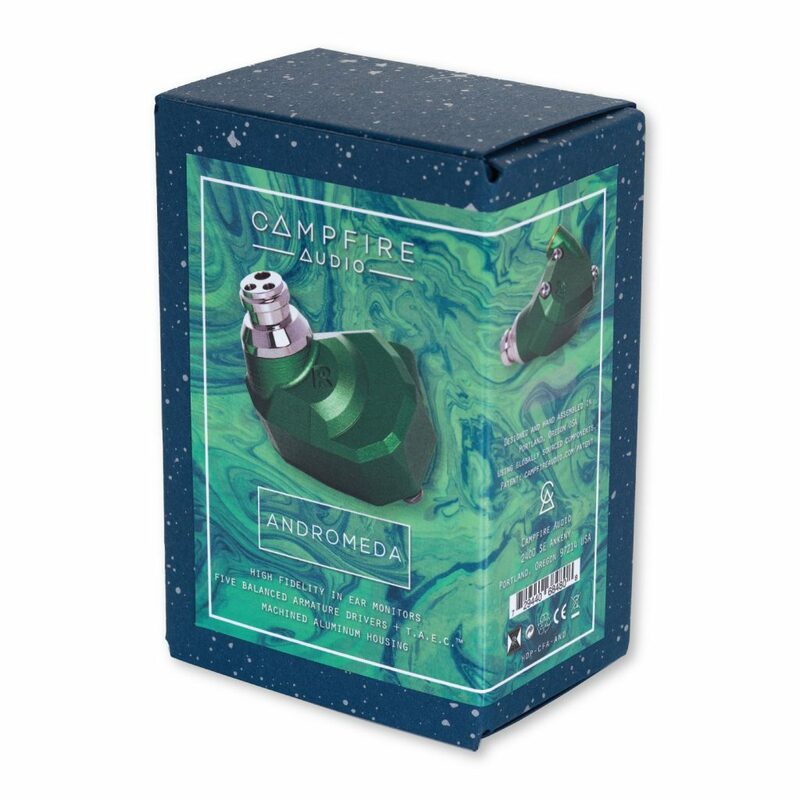 If you enjoy listening to music, you need Campfire Audio Andromedas. I sincerely hope that you’ve had at least a few moments in your life where words were rendered meaningless in a seemingly futile attempt to describe them. I am honestly not one who would often ascribe such praise to something that can be purchased. These a scenarios more akin to a sunset, a rainbow, a night out with friends or seeing someone you despise fall victim to an unfortunate altercation with gravity. All that being said, after my first evening spent, hearing all my favorite songs anew on these absolutely amazing headphones, I found myself lacking the words to describe the experience. Instead, as it was an evening out with friends and I felt guilty about spending so much time on said headphones, I opted to give everyone one a chance to pick their own favorite song and give it a listen. The experience was unanimous across the board. In fact, I basically had to almost forcibly take them back. I cannot recommend these headphones enough. They are well worth the price of admission. There was paint dropping in the earphone after one month of use. Is there a solution? 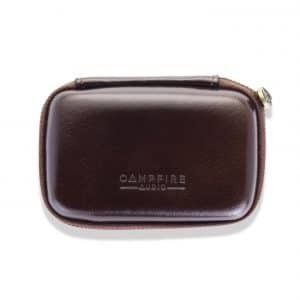 We have an excellent distributor Mixwave who is our exclusive distributor of Campfire Audio products in Japan. The stock cable that ships with the Andromeda is the new Litz wire cable with a 3.5mm termination.